“A goal without a plan is just a wish”, declares the French writer Antoine de Saint-Exupery. The Marketing Chef states “too much marketing is wishful goal-setting.” Why? Absent an explicit actionable marketing plan, many well-intentioned marketing activities descend into a haphazard mixture of marketing ingredients hastily thrown together. A bizarre concoction – a quick repast to satisfy the immediate craving for more business rather than a well-planned, systematic formal spread that is “simply irresistible”. Imagine walking into the kitchen intending to create a special dinner to impress your new guests. You left it to the last minute, it’s been a little while since you went to the grocery store and you don’t have much time before the guests arrive. You hunt through the refrigerator and pantry. You scrounge together some ingredients. No meat, let’s use some cat food! How about mixing it with last week’s left over rice? The liver-flavored cat food is rather pungent – perhaps some curry would help. The meager vegetables are wilting; perhaps we can make them more interesting with some butter, garlic and lemon. No butter – we’ll resort to margarine; the lemons look a little rotten too and the garlic is soft and moldy – let’s use some garlic salt instead. Dessert? Pull out last month’s freezer-burn ice cream. Not exactly an appealing recipe for dinner! As a poor student some thirty-odd years ago, this cat food curry paella might have been tolerable as a nighttime post-pub repast – but was definitely the lowest point in my culinary repertoire. The point is don’t expect great outcomes without appropriate preparation. A more effective approach to the “dinner” is to reflect on who’s coming, and then consider their ages, tastes and culinary requirements. Plan out each course as a progression of tastes and experiences. The meal is really secondary – the primary outcomes of real hospitality are the meaningful conversations and deeper relationships that ensue. Marketing like hospitality, is all about the dialogue and the relationship. With the dinner plan designed, courses outlined and recipes selected, one can now ascertain the required ingredients. Then, a quantitative and qualitative audit of the refrigerator and pantry drives the procurement of additional necessary ingredients. All under the operational budget set by the CFO, my wife Melissa. The subsequent execution is orderly, as I follow specific recipes for each component of each course. The resultant dishes work together in harmony. By the way, what is a recipe really? It’s simply a list of particular ingredients in specific proportions, organized in a timed sequence of action steps. The recipe for creating an actionable marketing plan is no different. Plan, plan, plan. Reflect on the goals, your target audience, their needs, the competition and then the necessary ingredients to reach and persuasively communicate your story. 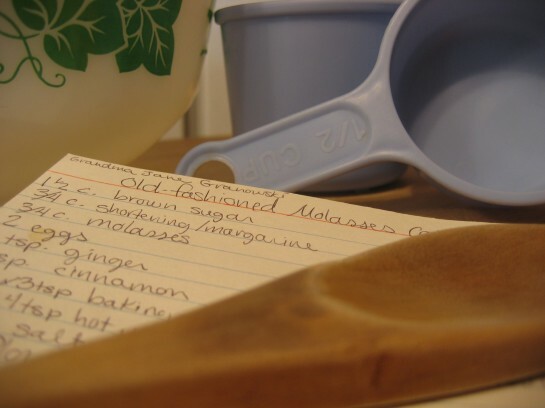 The recipe for marketing success is your written marketing action plan. Vision, Mission, Marketing Goals and Objectives – What’s your destination and direction? Profile/Needs – Who needs you & why? Decision-Making Criteria – How do they make decisions? Extraordinary Product-Service Offering – What are you offering that’s so special? Competitive Assessment – Who are you up against? Irresistible Positioning – What’s your irresistible value proposition? How you uniquely deliver value to your target market and differentiates you from the competition? Brand Identity – Who are you? Your brand personality. Marketing Ingredient Audit (MIA) – What are your tactical ingredients? The MIA audits all available marketing ingredients against 175 + possibilities, identifies quantitative gaps as well as areas for qualitative improvement. The key is to strategically select and combine a suitable cluster of 20-35 ingredients that will maximize your return on investment of time, dollars and energy. Marketing Calendar – When do you do what? Your implementation schedule. These are your marketing instruments prioritized and laid out on a rolling 90-day timetable. Your Core Story – Your communications foundation. Marketing Investment – How much? Your budget. With an explicit, written marketing action plan, your marketing goals elevate from wishful thinking to actionable implantable strategies and tactics. Good luck and contact me if you need help. Along with speaking, developing marketing plans and strategic facilitation is my gift and passion. This is a terrific way to get started on a strategic marketing plan. Nice work! Brilliant as always… Great steps for people to map out and consider. That’s a great marketing plan outline! Great plan. Being organized is extremely important in every aspect of our lives!